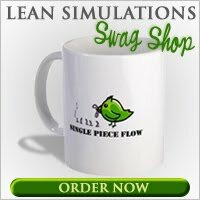 Lean Simulations: Lean Material Handling - Ditch the Forklift? Lean Material Handling - Ditch the Forklift? The Occupational Safety and Health Administration (OSHA) estimates that there are 34,900 serious injuries, including 85 fatal accidents per year in the Unites States involving forklifts. 11% of all forklifts will be involved in some type of accident each year and the manufacturing industry is the most affected with 42.5% of fatal accidents. Many work-related factors can cause accidents with forklift trucks, such as lack of training, poor maintenance, blocked vision, improper backing, speed, poorly stacked loads, improper communication or workplace design. In assembly factories, poor workplace design is one of the main factors for forklift accidents. Creating designated walkways to separate pedestrians and forklifts is a must in the industry, but poor workplace design also includes narrow, crowded and cluttered aisles, working in the general area of forklift operations and mainly forklift traffic in work areas. Traffic in work areas occurs when forklifts are used to handle and transport input, work in progress or output to work cells. Most companies have limited work space increasing the risk of accidents. To reduce the risk of accidents, process engineers need to consider handling the material differently. Light materials (less than 2000lbs) can be handled by using jiggers, conveyors, push carts, tugger carts or by redesigning the floor layout and redefining processes. The spaghetti diagram is a good tool to review forklift congestion. Safety is not the only concern for reducing forklift use; maintenance, congestion, flexibility and productivity also benefit from this change. 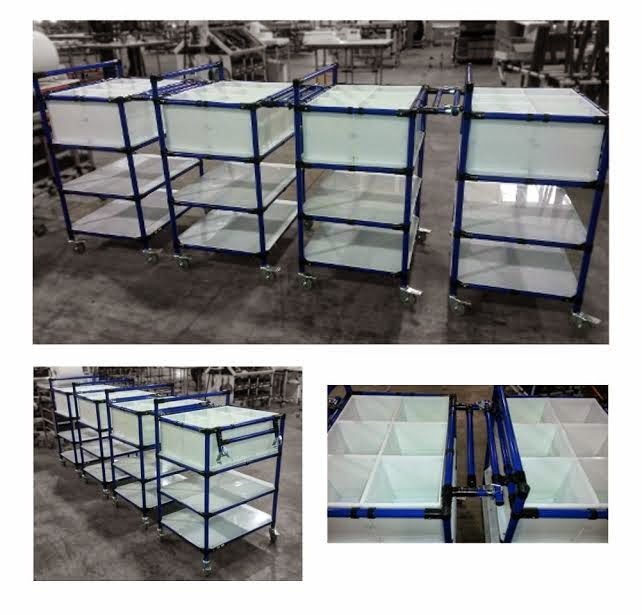 For example, instead of carrying 1 load of finished products at a time from a work area to storage area with a fork lift, tugger carts can be used to carry multiple loads of finished products including empty carts that can be left in work areas afterwards. Furthermore, tugger operators always have a clear view because the loading is done in the back. well explained content on this blog thanks. Thanks for sharing this Wonderful blog, this blog is very helpful information for every one.